UNISON is urging City of Edinburgh councillors meeting today to ‘be sure what they are signing up to’ when they consider plans for almost 1,000 job losses and cuts of £107 million. “The plans before the council are so vague and so lacking in detail that councillors are unlikely to know exactly what they are voting for when it comes to delivering services. They need to be sure what they are signing up to”, UNISON will tell councillors. 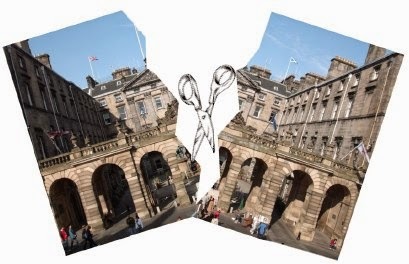 “After years of £90million cut upon £90million cut and a 20% reduction in funds, another £107million cut will mean whole services are likely to vanish”, Amanda Kerr, UNISON Edinburgh branch secretary. Tom Connolly, UNISON negotiator and staff side secretary for the council unions said: “Governments bemoan the crisis in social care for elderly and disabled, yet they cut the money for councils to provide those services. They say Education has to get better, yet they cut the money. They call for councils to maintain roads better, yet they cut the funding. It is time they took responsibility for the cuts they are imposing. “In local government, a job lost is a service lost. Our members are being asked to do more and more with less and less. They are being leaned on to provide the impossible. Systems keep changing like rearranging the deckchairs on the Titanic while everyone knows service to the public is getting worse. Councils have to stop pretending and be honest about the effect of these cuts”, added John Stevenson, UNISON Edinburgh president.